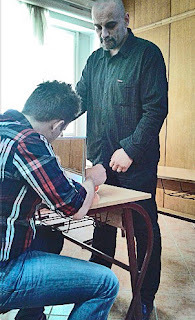 in cooperation with The National Physiotherapy Association of Montenegro and The Faculty of Applied Physiotherapy, U of Montenegro, Mirror Therapy Adria and ETPP organized a full day Mirror Therapy Workshop for nine Montenegro Physiotherapists at The Faculty of Applied Physiotherapy's multimedia education amphitheater on Sunday April 25, 2015. 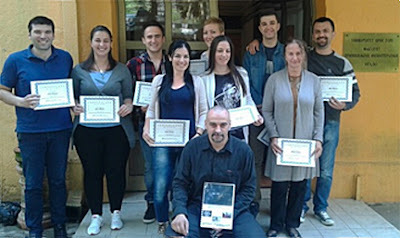 These Physiotherapists became the first certified mirror therapists in Montenegro, four from Herceg Novi, and one from each of the following cities: Kotor, Niksic, Petnjice, Danilovgrad and Cetinje. 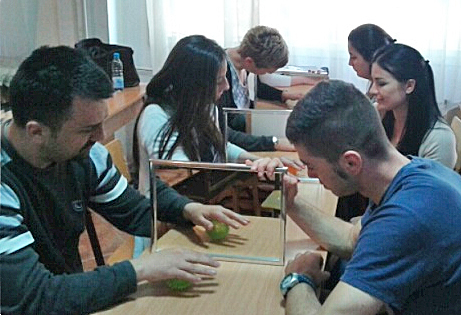 There is a growing recognition of mirror therapy by medical professionals in the Balkans as the treatment of first choice for relief of post-traumatic neuropathic pain and stroke. Mirror Therapy Adria is even more convinced that these workshops should be organized in each local area of the Balkans, where its been seen and recently reported that an increasing number of people who suffer the fore mentioned problems.